One of the advantages of working in a field that we are really passionate about is the endless possibility of meeting other people that share the same passion. To us, Orphek is not just a job. It is a huge comunity of Nature lovers! 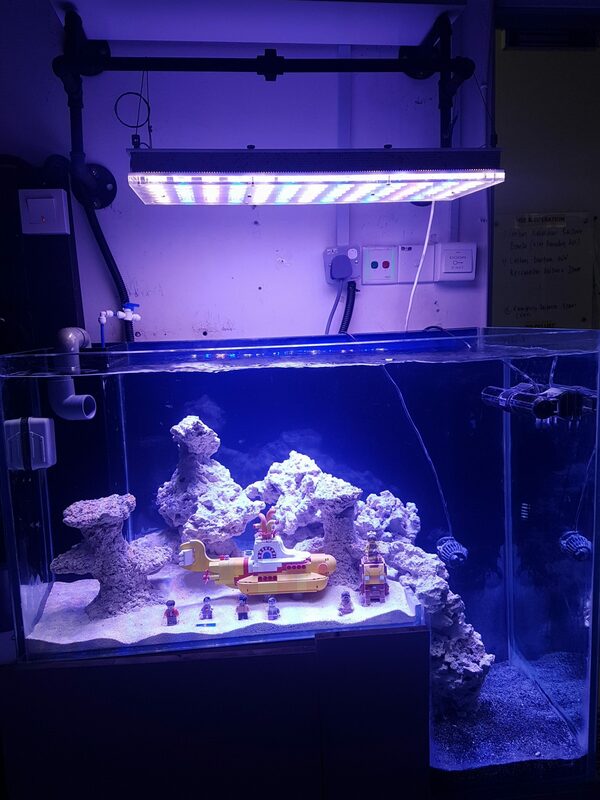 Today we are happy to share a curious aquarium coming from Malasya. 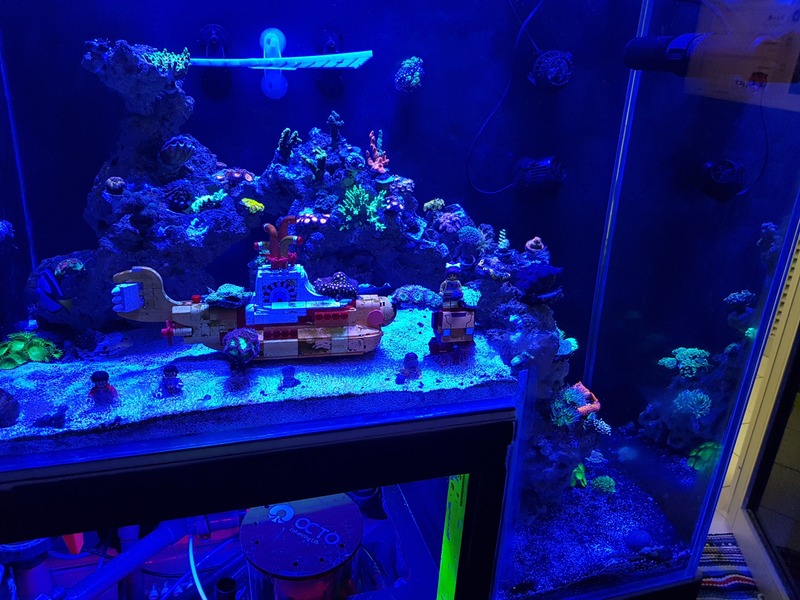 Update on the lights: client is upgrading to Atlantik V4. 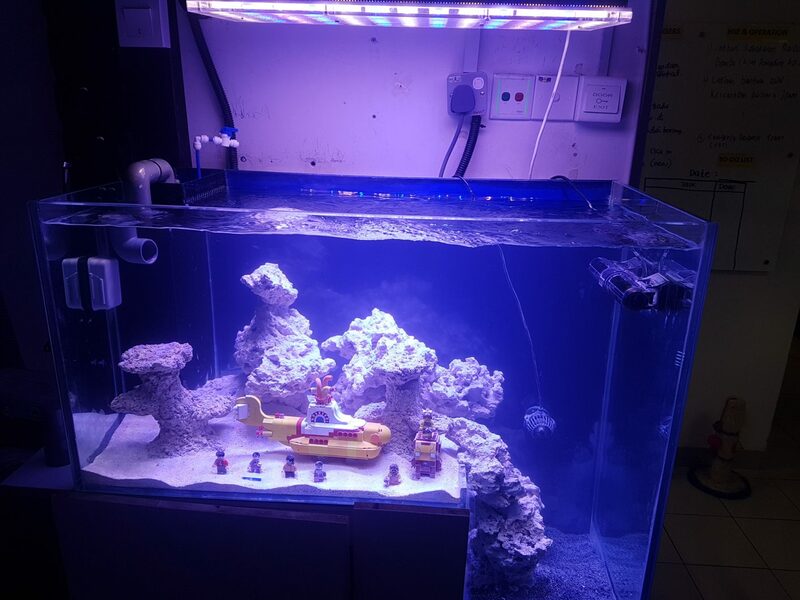 Tank type : 12mm clear tampered glass 4side and overflow left corner. Lighting layout: “Hang 10″ from the water at first due to the old hanging kit rusty and stuck then after 2 month move up to 16″ from water… till 15degrees facing back of the tank wall“. 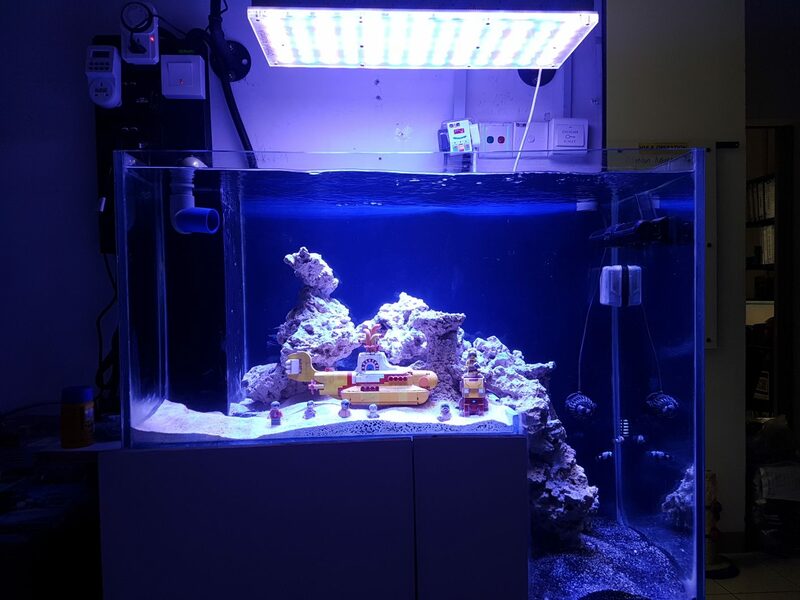 Aquascape : Southern Philipine dry rock 20lbs + Ceramic rock. 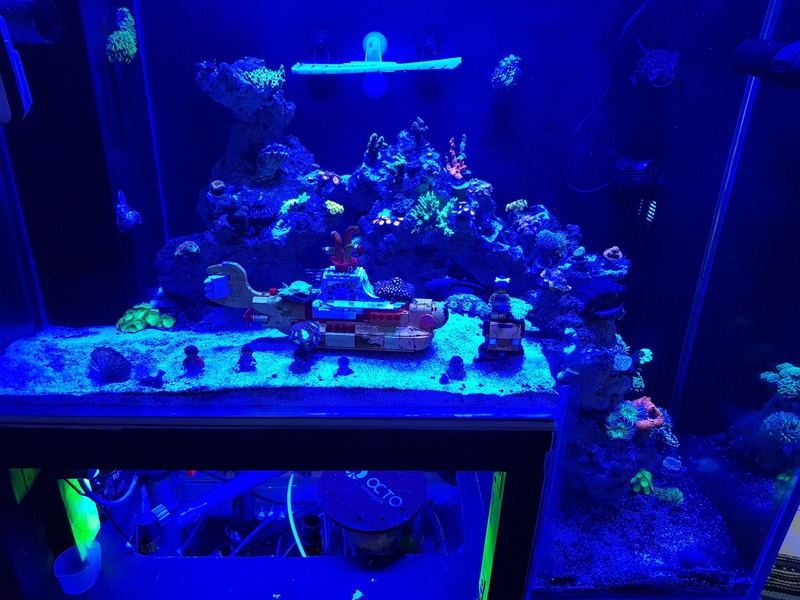 Reef Roid twice a week. Check out the video to have a better idea! 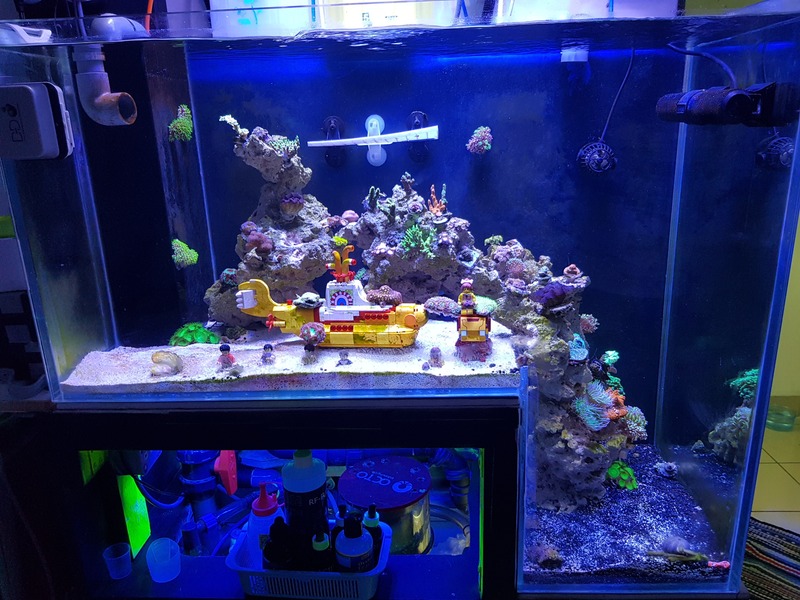 Usually we show standard shapes, but this tank has a cascade layout, with a “L” letter shaped area which we found interesting to show case and also we found it pretty cool that client has a thing for The Beatles! 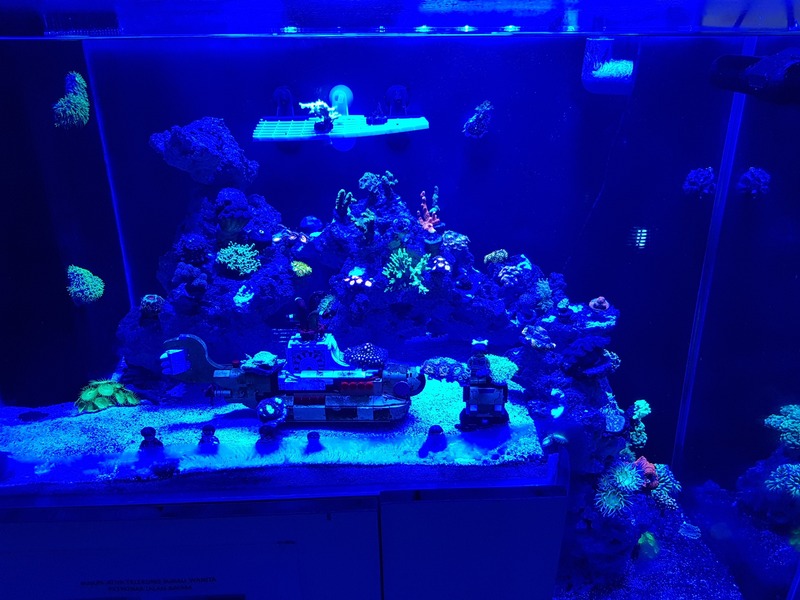 “Recommended for any style of reef tank, the coverage is really fantastic because it can still bring up the fluorescent color of the softies at the bottom part of the drop off (30inch depth). No algae issues and I don’t really acclimate the light because Orphek intensity is well spread out and no coral bleach or death. 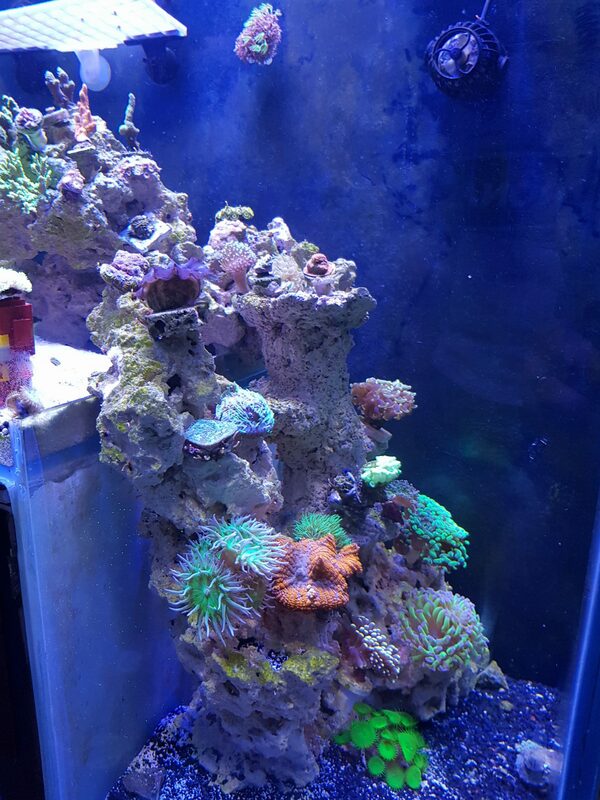 After less than 3 months corals grow really fast and bring up their vibrant color. Check out how many photos Akasyah has sent us! In this photo you can see the early stages of the tank at the beggining of its installation. Rocks and Orphek Atlantik LED Lighting were already installed. 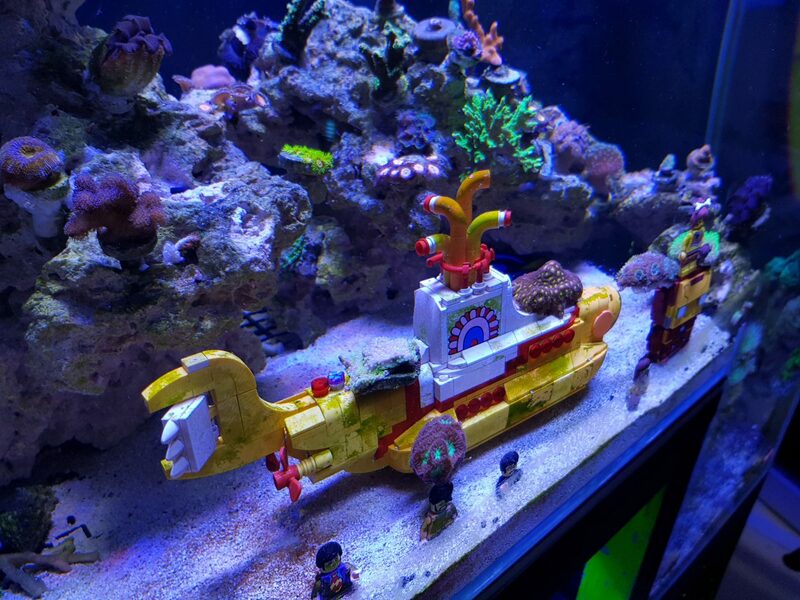 The Beatles Yellow Submarine and Beatles figurines were also placed. You can also see the door opened to see the equipment installed and working. 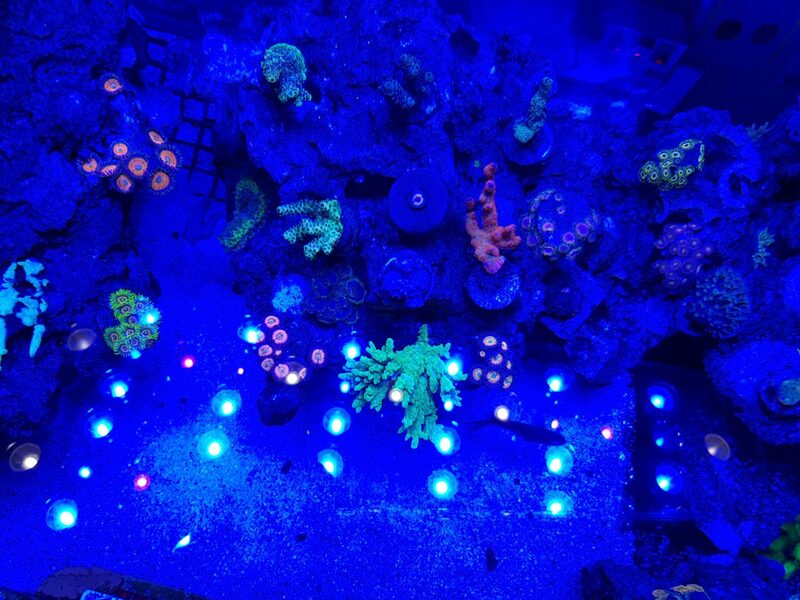 More corals were placed giving more color to the aquarium. In this picture you can see that his Orphek Atlantik unit renders light that is really well spread, reaching the entire area! In these photos client has turned the Blue Channel for vibrancy. 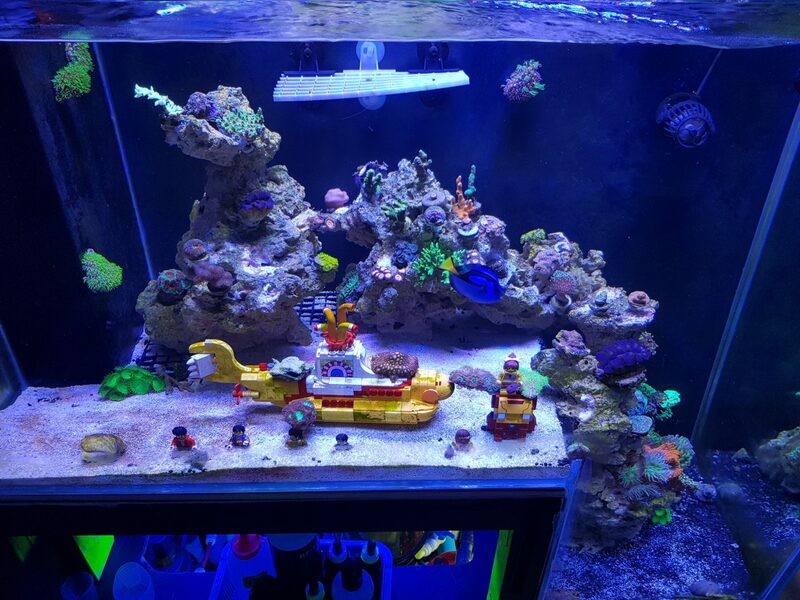 In this picture we can see the Beatles theme, corals and fish all together. Here you can see how the orphek Atlantik unit was hanged and the distance from the water. 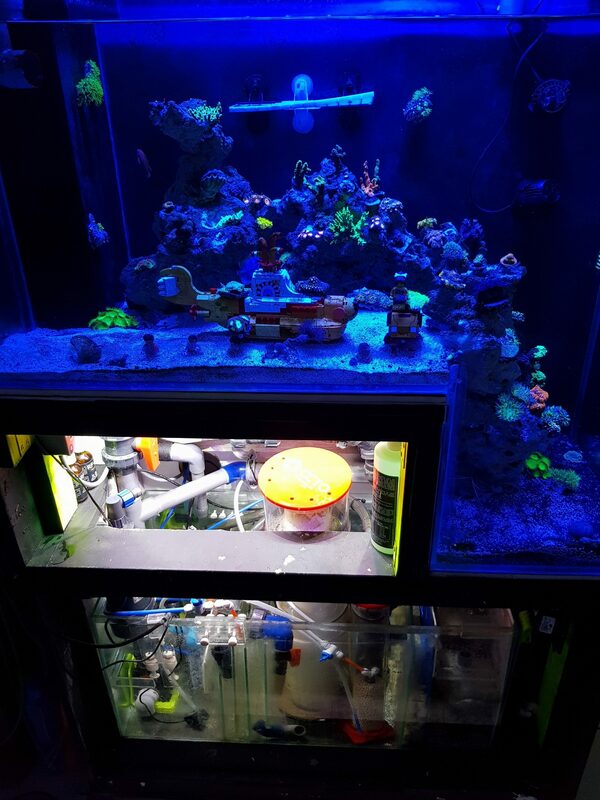 Here you will find more exciting photos of this unique aquarium! 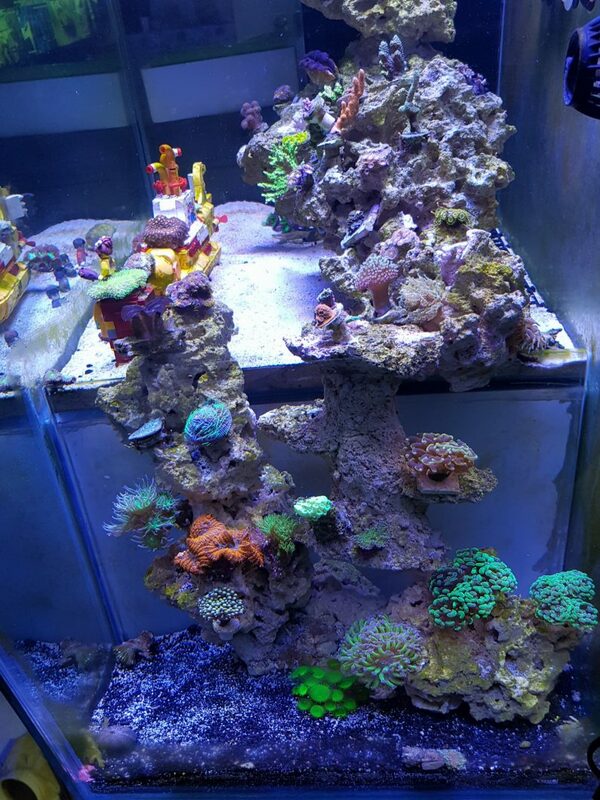 Corals looking health and beautiful under Orphek Atlantik unit. Cascade layout close ups with beautiful & harmonious coral display. 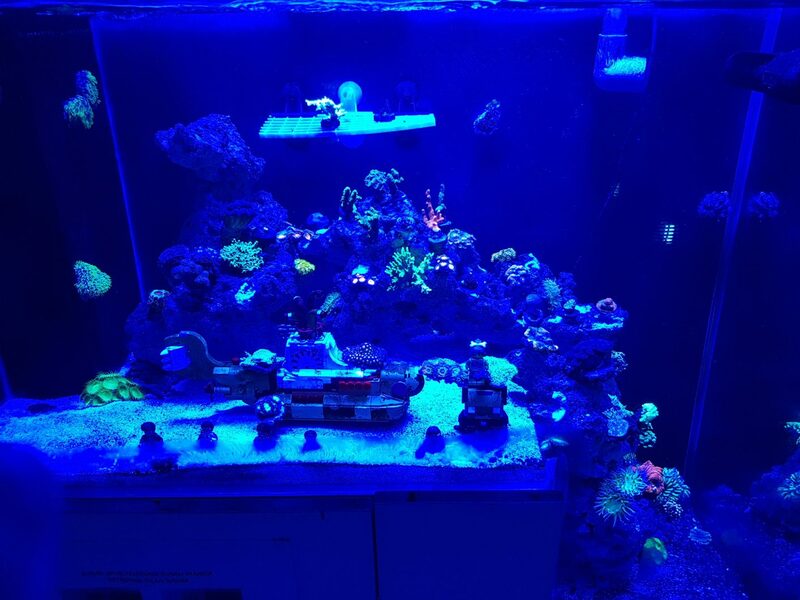 Beautiful pictures of the entire aquarium under Orphek Atlantik unit at Blue Channel. 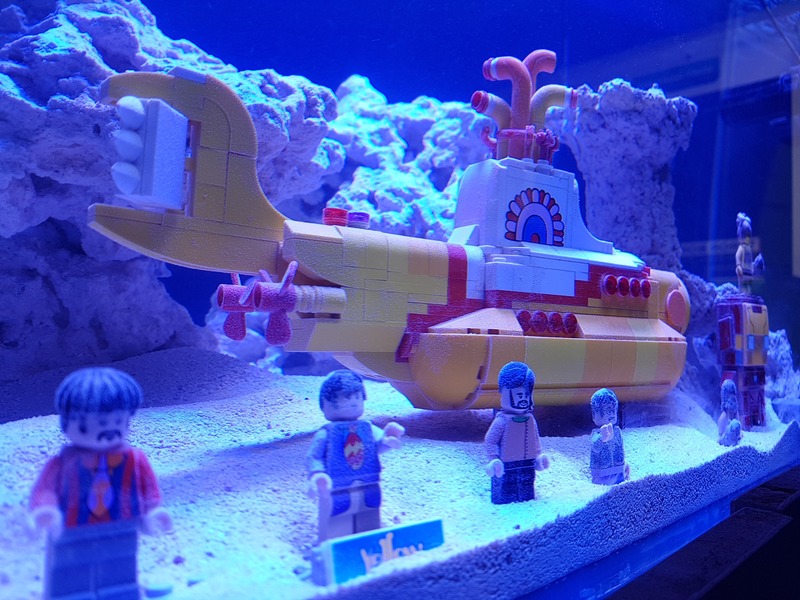 Beatles Yellow Submarine and figures at close up! Super cool!! 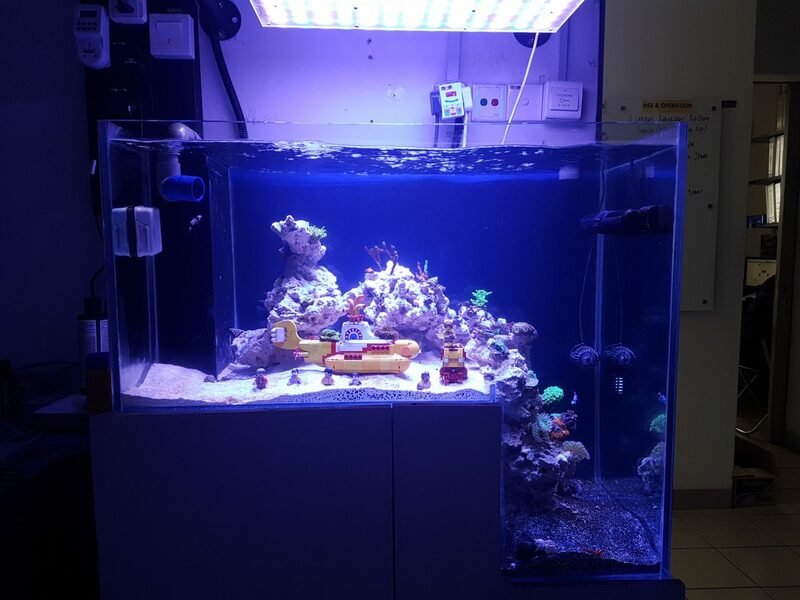 We would like this opportunity to thank Akasyah for sending us photos of his tanks and corals!